Good morning to you all. Here we have my latest make for Incy Wincy and the challenge this week is Anything Goes. 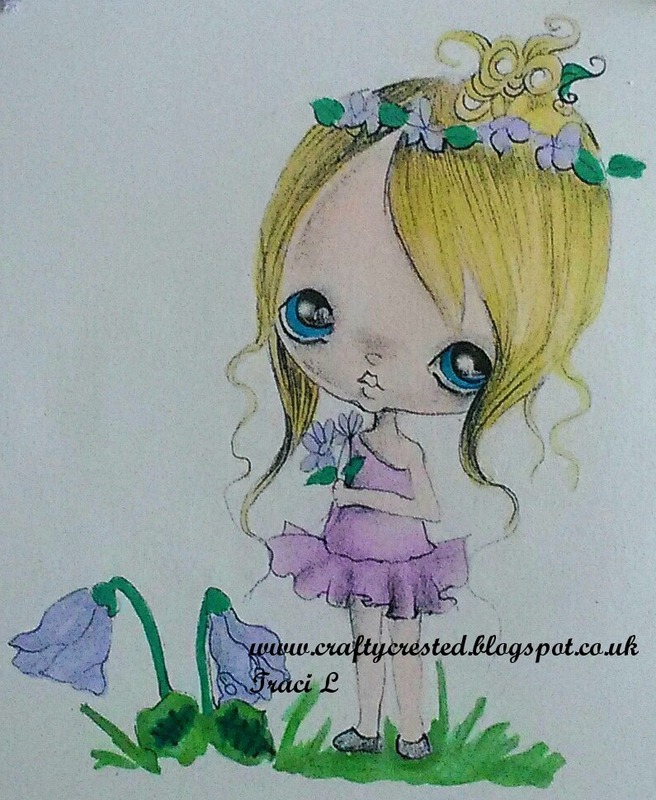 The image I used for this project is Cyclamen Girl from Ppinky Dolls. Beautiful coloring and adorable image ! 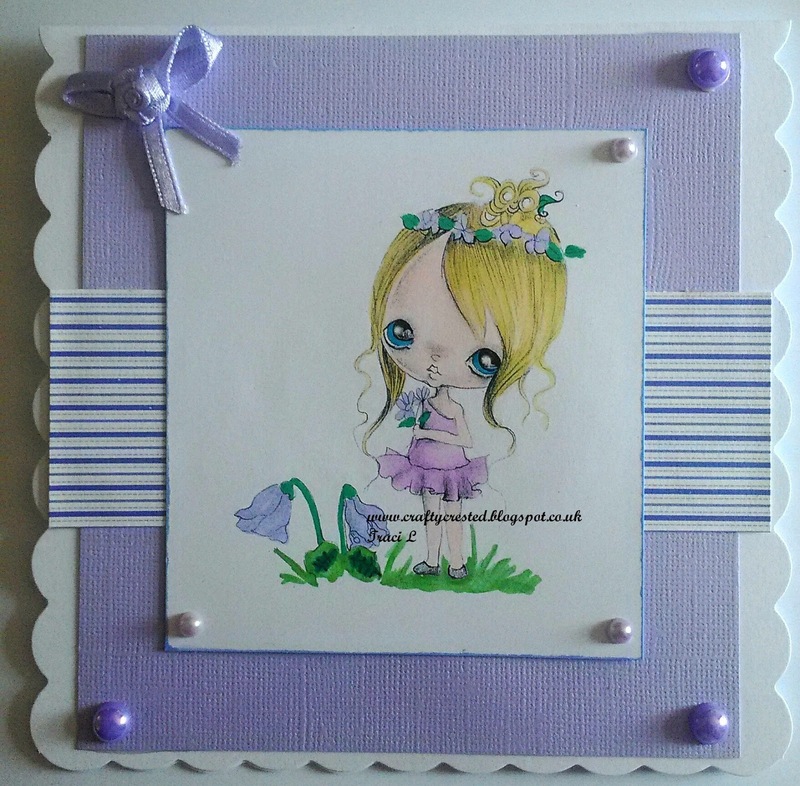 Traci this is so pretty with the lavender colours and the little pearl accents is a lovely touch.